I, ____________________________________, (hereafter referred to as “Consignor”) do hereby attest that I agree to all of the following conditions of cosigning with ELEMENTS EOM LLC, d/b/a ELEMENTS OFF MAIN (hereafter as “ELEMENTS EOM LLC”). ELEMENTS EOM LLC will receive consignments daily. ELEMENTS EOM LLC reserves the right to schedule appointments, when necessary, to allow for the proficient and expeditious handling of consigned goods. ELMENTS EOM LLC will receive a commission on all sales as follows: 50% on all items cosigned to ELEMENTS EOM LLC and accepted for sale. Pricing of consigned items will be set by ELEMENTS EOM LLC. All goods consigned will be offered for sale in accordance with ELEMENTS EOM LLC store policy and the terms as outlined in this contract. ELEMENTS EOM LLC will display all cosigned merchandise for a period of 90 days and will adhere to the below listed price reduction schedule when necessary. All merchandise remaining unsold after 31 days from the date originally consigned will be reduced by 10% of its original selling price and this percentage reduction will be assessed to the Consignor. All merchandise remaining unsold after 61 days from the date originally consigned will be reduced by 25% of its original selling price and this percentage reduction will be assessed to the Consignor. All merchandise remaining unsold after ninety (90) days from date originally consigned and applicable to this contract shall be removed by the Consignor from the selling floor within 10 calendar days from the expiration date of said consigned item or 100 calendar days from the date originally consigned as shown on the computer generated price tag and inventory sheet. All seasonal items are subject to reduction up to 50% as determined by ELEMENTS EOM LLC. ELEMENTS EOM LLC does not assume any responsibility or liability for any merchandise which has not been removed from the premises during the ten (10) day removal period. Any merchandise which the Consignor does not claim and remove within the ten (10) day removal period will become the property of ELEMENTS EOM LLC and ELEMENTS EOM LLC may donate, dispose, of or sell said merchandise as its own. In the event that the consignor wishes to remove early any item which the consignor has consigned to ELEMENTS EOM LLC under the terms of this contract, then the consignor agrees to pay ELEMENTS EOM LLC $5.00 per item or 10% of the original established selling price (whichever is greater) prior to the removal of said item. ELEMENTS EOM LLC will issue settlement checks and have them ready for pick-up by twelve noon on the 15th business day of each month for all merchandise sold during the prior month for the respective Consignor. It will be the responsibility of the Consignor to pick up their respective settlement checks. Should the Consignor request their checks be mailed, ELEMENTS EOM LLC will charge a $2.00 fee per mailing and this amount will be deducted from their settlement check, or in the alternative, the consignor may supply a self-addressed/stamped envelope for ELEMENTS EOM LLC to use for the consignor’s benefit. ELEMENTS EOM LLC will only accept items which are clean and in marketable condition. Should ELEMENTS EOM LLC need to wash, repair, polish, or do anything whatsoever to insure saleable appearance and/or condition, ELEMENTS EOM LLC will charge 55 % consignment fee rather than 50% consignment fee. ELEMENTS EOM LLC shall, in its sole discretion, have the right of final determination of the acceptability of all merchandise displayed for sale. ELEMENTS EOM LLC reserves the right to refuse goods which are outdated, unsafe, damaged, tarnished, chipped, broken, etc. ELEMENTS EOM LLC may from time to time impose a limit on the amount of items and size of item(s) which any one Consignor may consign due to space limitations. All checks issued by ELEMENTS EOM LLC are void after 90 days from the date of issue. ELEMENTS EOM LLC WILL NOT AUTHORIZE ANY CHECK(S) TO BE CASHED AND/OR REISSUED AFTER SAID CHECK(S) HAVE BECOME VOID! It is the responsibility of the Consignor to pick-up the check or make arrangements for mailing, as set out above. ELEMENTS EOM LLC will not reissue any check(s) due to damage or loss, etc. The consignor is responsible for all merchandise liability. ELEMENTS EOM LLC assumes no responsibility for the operation, function, action, performance, and or condition of any consigned merchandise. The Consignor further accepts full ownership responsibility for all consigned merchandise. ELEMENTS EOM LLC does not assume responsibility for, or insure against theft or loss of consigned property. Consignor is responsible for fire, theft, and damage insurance and other insurance consignor deems appropriate to protect your merchandise while the merchandise is on the premises leased by ELEMENTS EOM LLC at 107 West Gundlach Street, Columbia, Illinois 62236. ELEMENTS EOM LLC will collect and remit the proper tax authority all state and local sales tax. 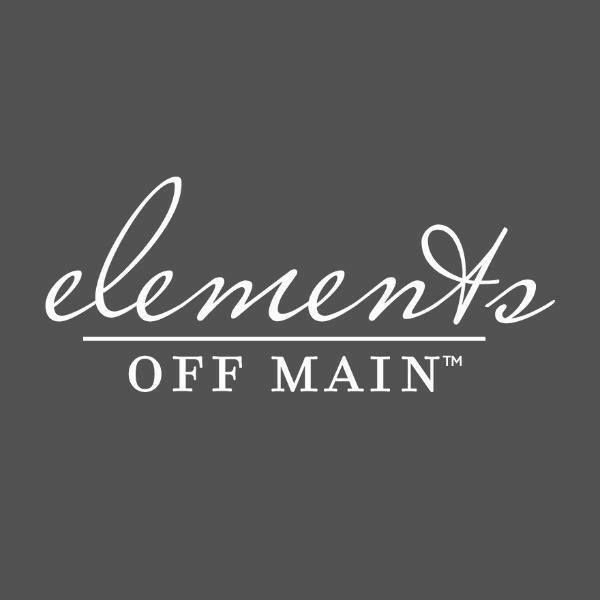 ELEMENTS EOM LLC agrees its store will be open Tuesday, Wednesday, Thursday from 10:00 a.m. to 6:00 p.m.; Monday and Friday from 10:00 a.m. until 5:00 p.m.; and Saturdays from 10:00 a.m. until 4:00 p.m. ELEMENTS EOM LLC reserves the right to changes its store hours and days of operation from time to time without giving notice to consignor. ELEMENTS EOM LLC will be closed for business on the following holidays; New Years Day, Easter, Memorial Day, Independence Day, Labor Day, Thanksgiving Day, Christmas Eve, and Christmas Day, and all others to be determined from time to time by ELEMENTS EOM LLC, including emergency closings. ELEMENTS EOM LLC will be closed the last week of December and first two weeks of January for year-end clean up. Consignor acknowledges that ELEMENTS EOM LLC is subject to a lease agreement with its landlord. Should ELEMENTS EOM LLC’s lease with its landlord expire or be terminated for any reason, notwithstanding anything contained in this contract to the contrary, this contract will immediately terminate at the same time which ELEMENTS EOM LLC lease terminates. By my signature below, I acknowledge that I have read and accept the conditions and terms as outlined in this contract. **I have been advised that all settlement checks are good for 90 days and it is my responsibility to collect all such settlement checks. I understand that checks will not be reissued.